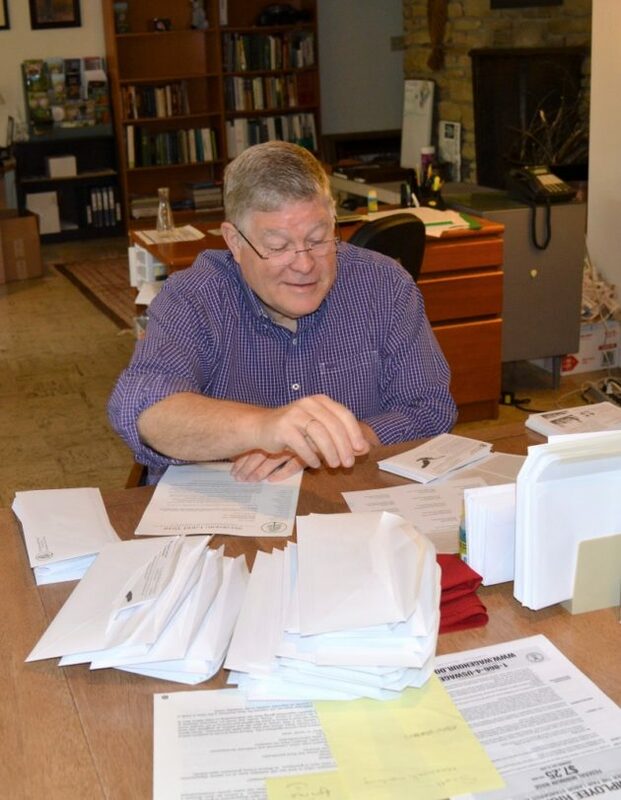 Weekly administrative volunteer Scott Loman is great company while preparing letters. Photo by Jaime Sweany. Our staff is grateful for our two weekly administrative volunteers, John Scully and Scott Loman (in addition to our amazing volunteer intern, Kuo-Chun Ku!). John recently retired from his position as Senior Assistant Registrar at IU and Scott recently retired from his librarian position with the Johnson County Public Library. We have lots of fun together in the office! 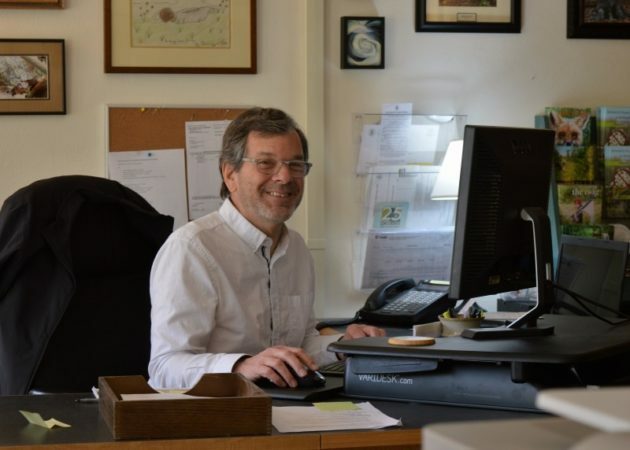 John and Scott have each made weekly commitments of administrative office support. As with most nonprofits, Sycamore operates on a tight budget. Staff members wear many hats and have a multitude of responsibilities. Having dependable administrative support makes a big difference to our daily operations and the timely fulfillment of duties. In addition to working hard and lending a hand wherever it’s needed (yes, Scott even vacuums for us each week! ), John and Scott are both a joy to work with! We enjoy great conversations; a shared love of nature, travel, and music; and a healthy sense of humor which keeps our workplace atmosphere lighthearted and uplifting. John Scully helping out with data entry. Photo by Jaime Sweany. THANK YOU John and Scott! You are each a wonderful addition to the Sycamore Team! 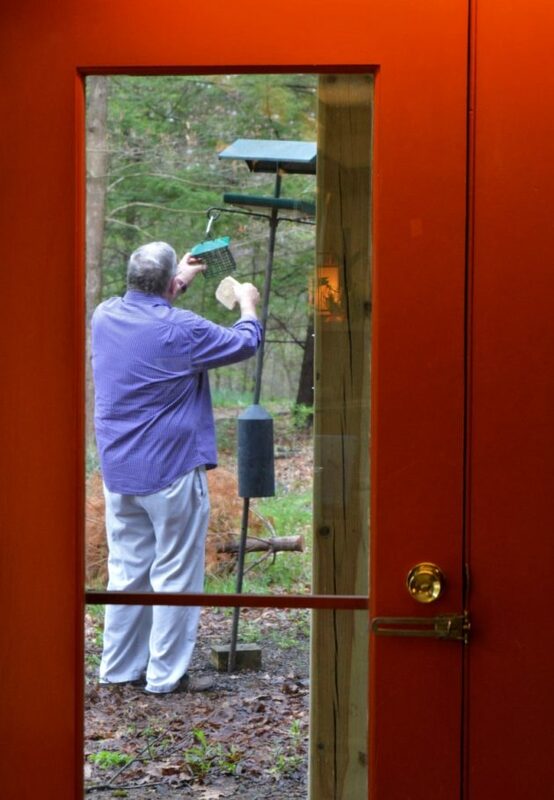 Scott Loman takes care of the birds. Photo by Jaime Sweany. 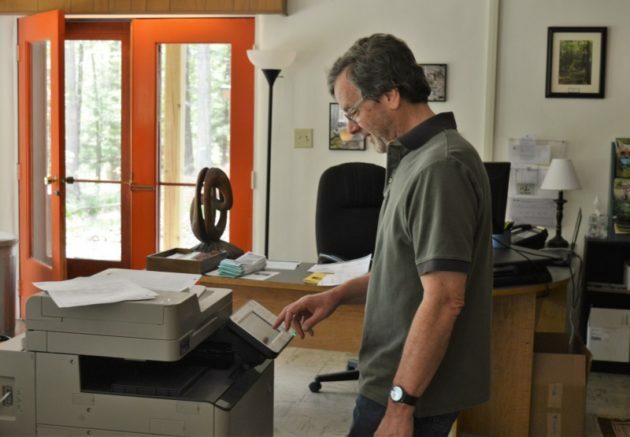 John working his magic at the copier! Photo by Jaime Sweany.